I’m back with a card that I made for my husband for his birthday that was earlier this week. I’m not too good at producing masculine cards, so I went down the cutesy card path instead. Anyway, he liked his card, so that is all that matters right? 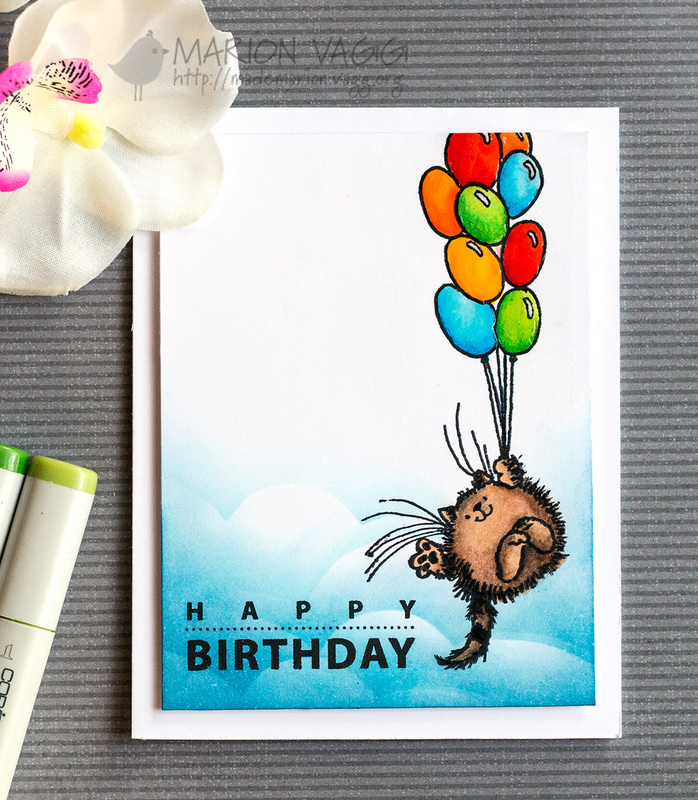 I stamped the cat and balloon from the Time to Celebrate stamp set onto a white panel and coloured it with a mixture of Copic Markers and Prismacolor pencils. I then masked off the cat and created my own cloud mask and sponged on some clouds using Salty Ocean and Faded Jeans Distress ink. 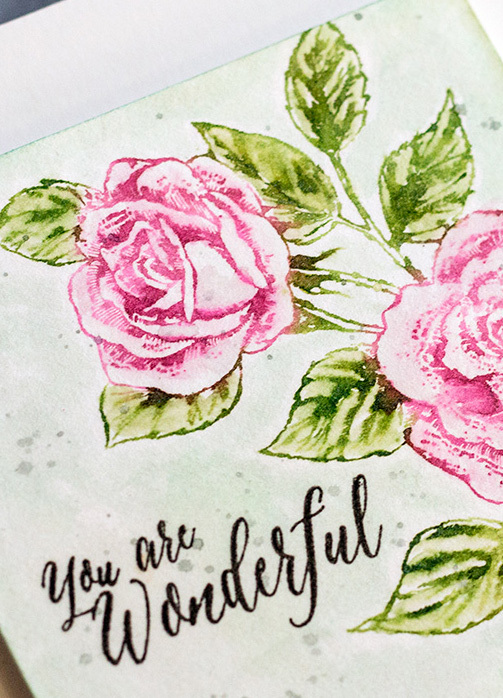 The sentiment is from the Kind Words stamp set (I did a little bit of stamp surgery here). To finish off the card I covered the balloons in Glossy Accents to make them shine. 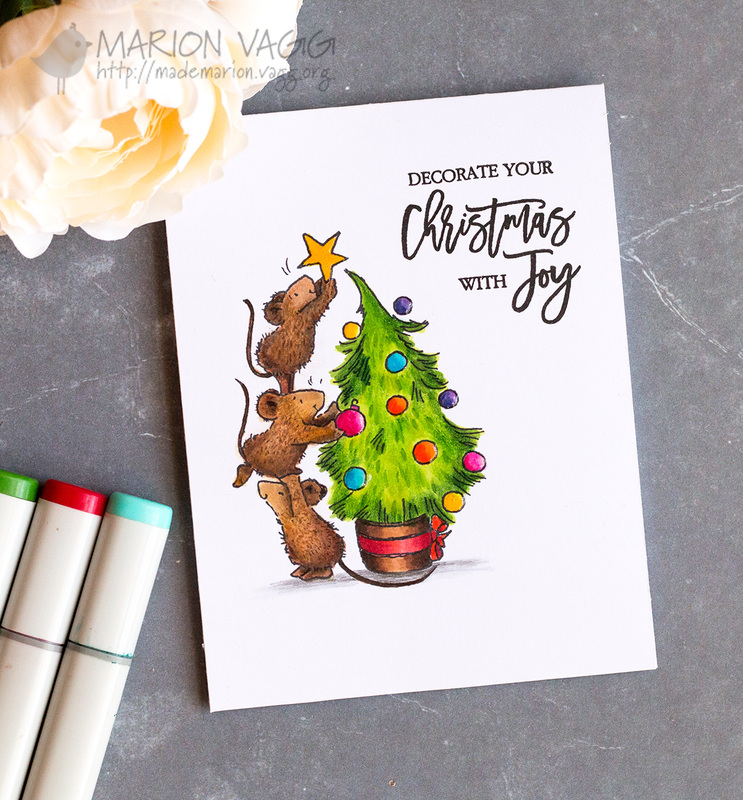 I thought I would drop in on this fine Friday evening and share some Jane’s Doodles projects that have been over on the Jane’s Doodles blog recently. 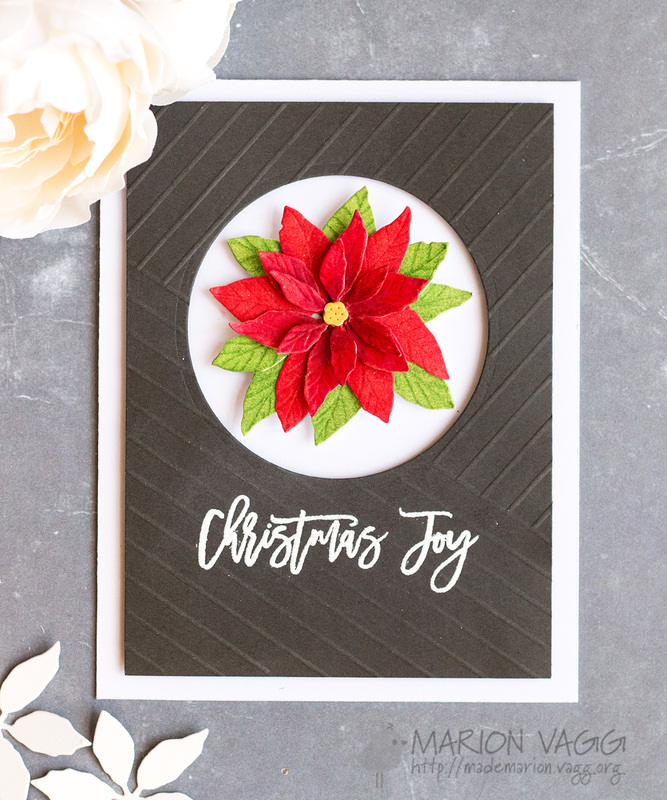 First up is a this Christmas card using Jane’s wonderful poinsettia stamp from the Christmas Blessings stamp set. 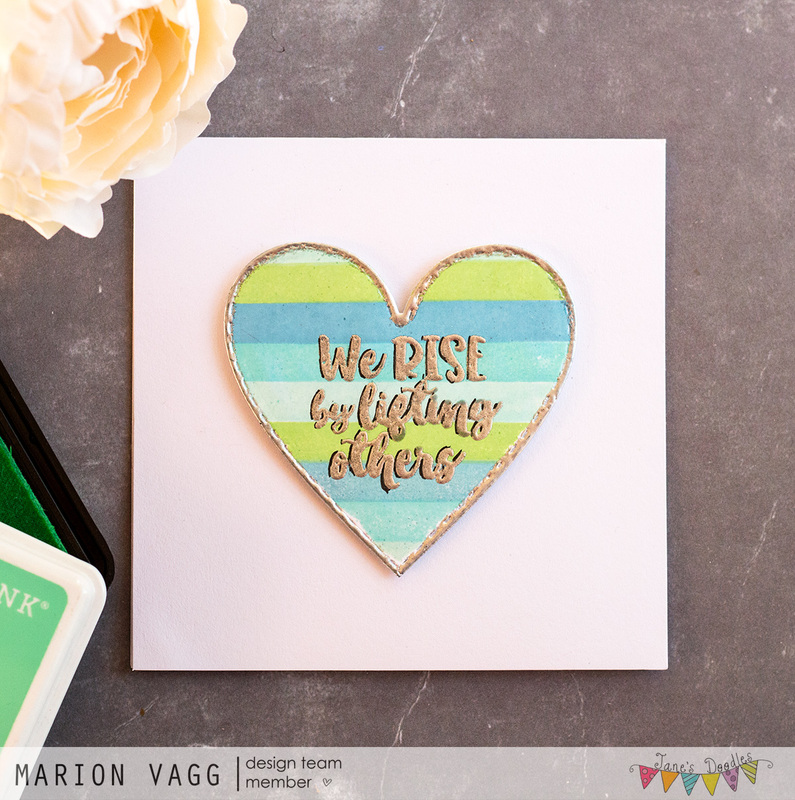 I also used the banner from He is Risen (an Easter stamp) and the sentiment is from the Warm Wishes set. 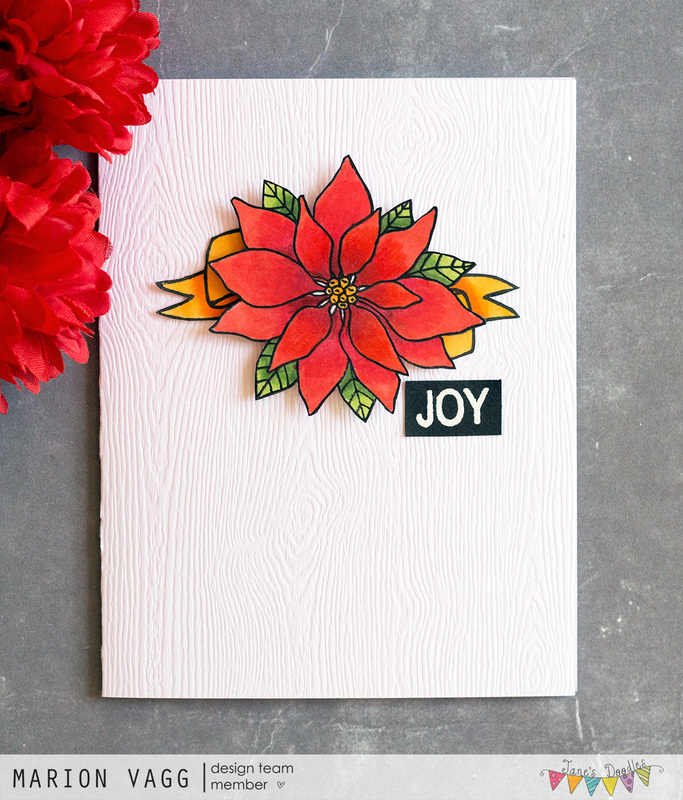 I coated the petals with some clear Wink of Stella glitter brush pen for some sparkle. 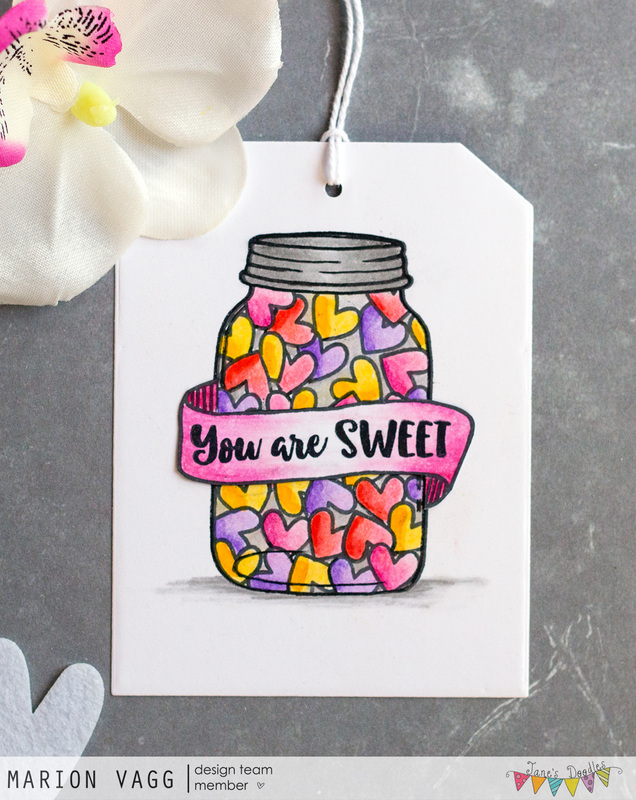 Next up I created a sweet tag using the Life is Good stamp set and the Cool stamp set. It took quite some time to mask and stamp all those hearts, but when an idea pops into my head, I just have to roll with it. 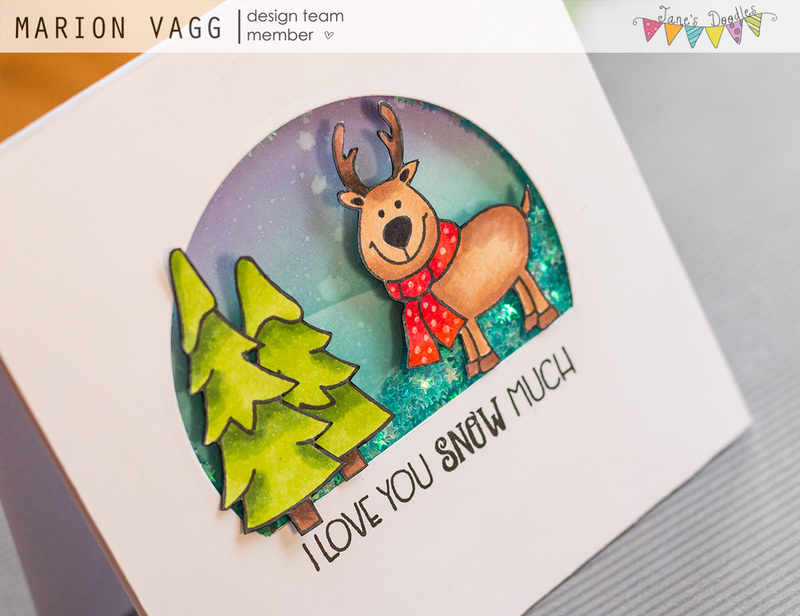 Next up is this card which uses the You Got This and the Stripes and Dots stamp sets. And last but not least, this project is from a couple of months ago, and I realised I had never shared it here. 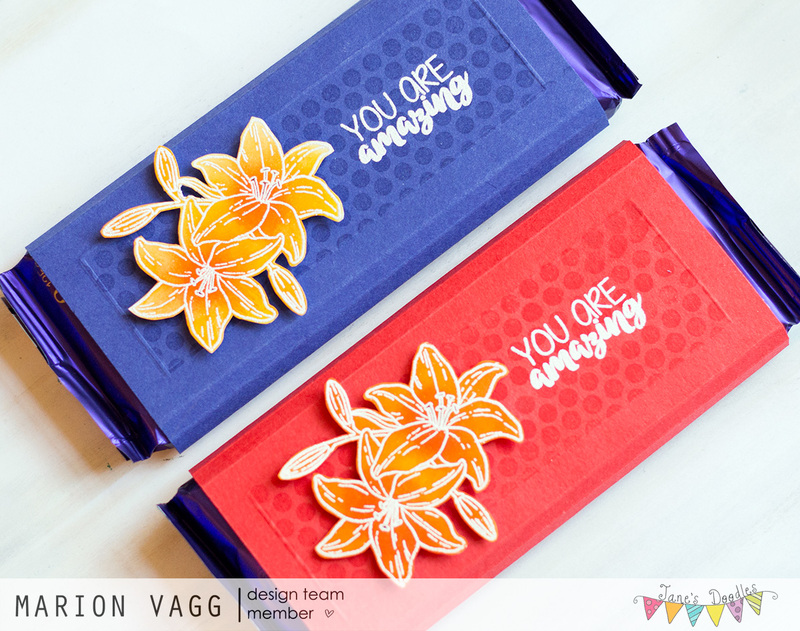 I made some chocolate wrappers for my kid’s teachers as a thank you gift using the Lily, Doodle Flowers, and Mother’s Day stamp sets. Well it’s the last day of the school term and I am on 2 weeks holiday! Yay! Hopefully I’ll get me some crafty time! 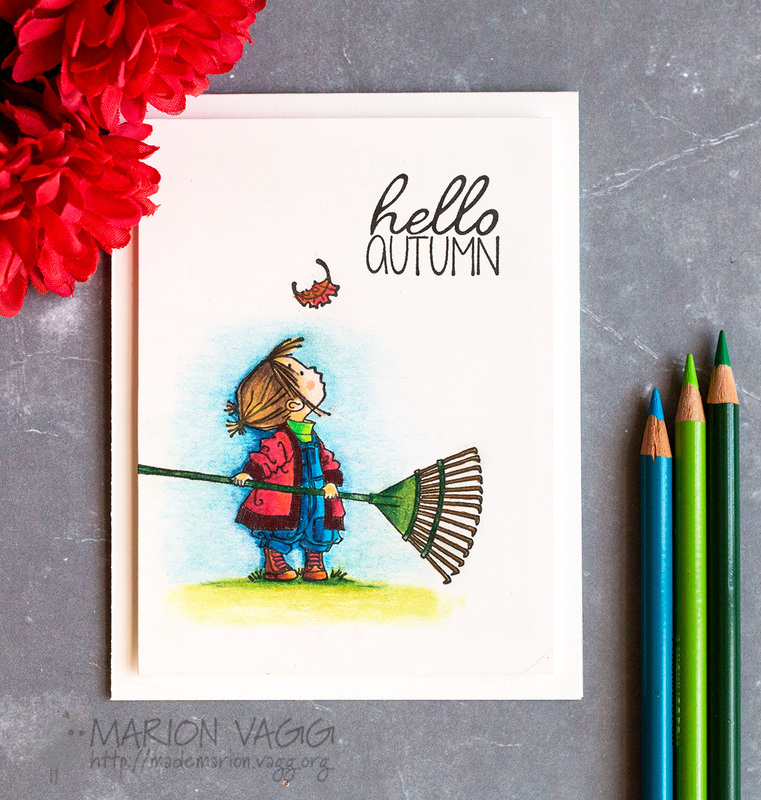 This past week I had the pleasure of being featured on the main Penny Black blog, using new products from their latest catalogues Be Merry and Hello Autumn. I had a lot of fun making these clean and simple cards. 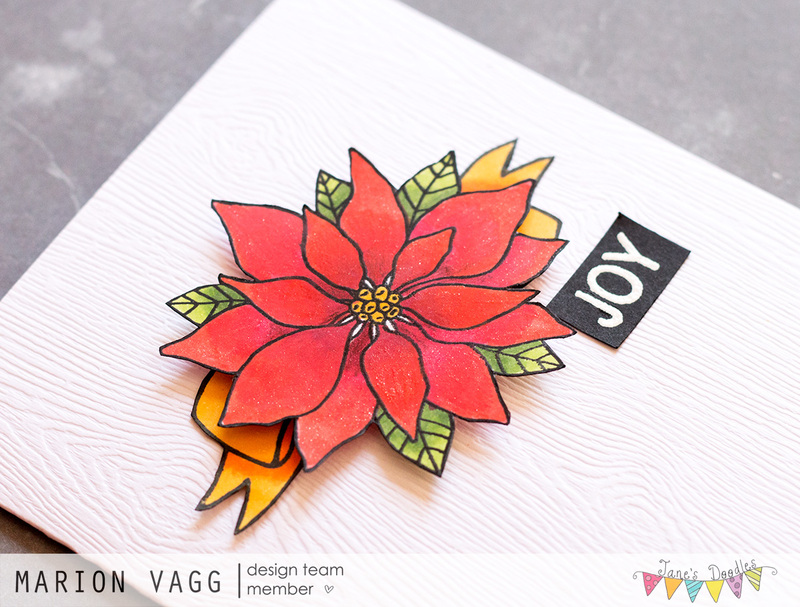 Day 1’s card used the wonderful Layered Poinsettia die and the sentiment came from the Gather Around stamp set. I added score lines to the petals and leaves with a scoring stylus and coloured them with Distress Inks. I custom made the grey panel by scoring lines on a score board. 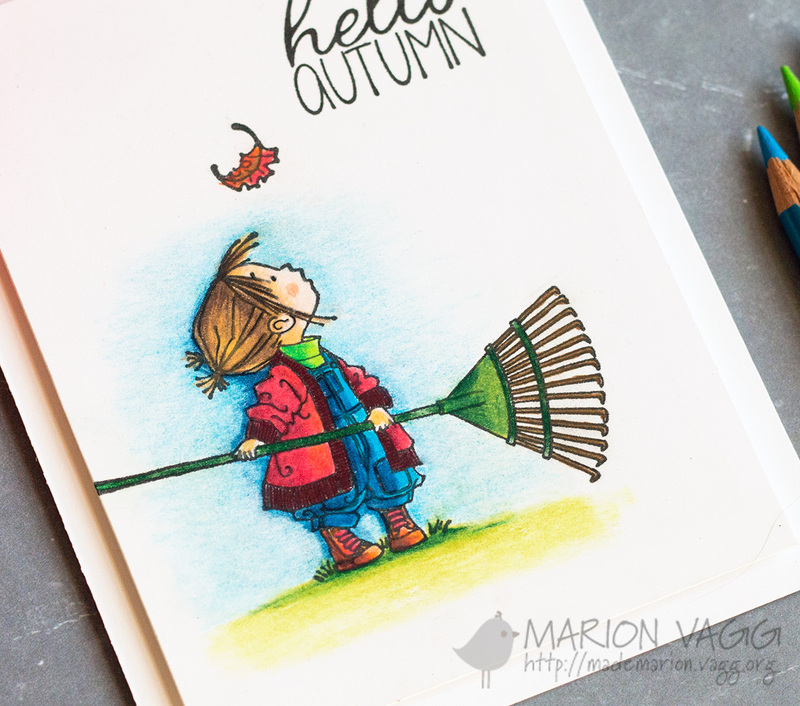 Day 2’s card used the Hello Autumn stamp set and was coloured with Prismacolor pencils and Gamsol. 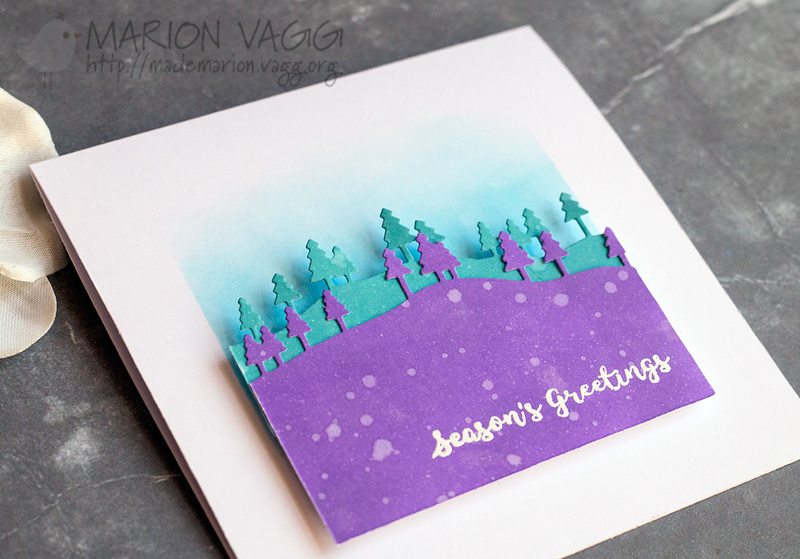 Day 3’s card used the Hills and Trees Creative die. 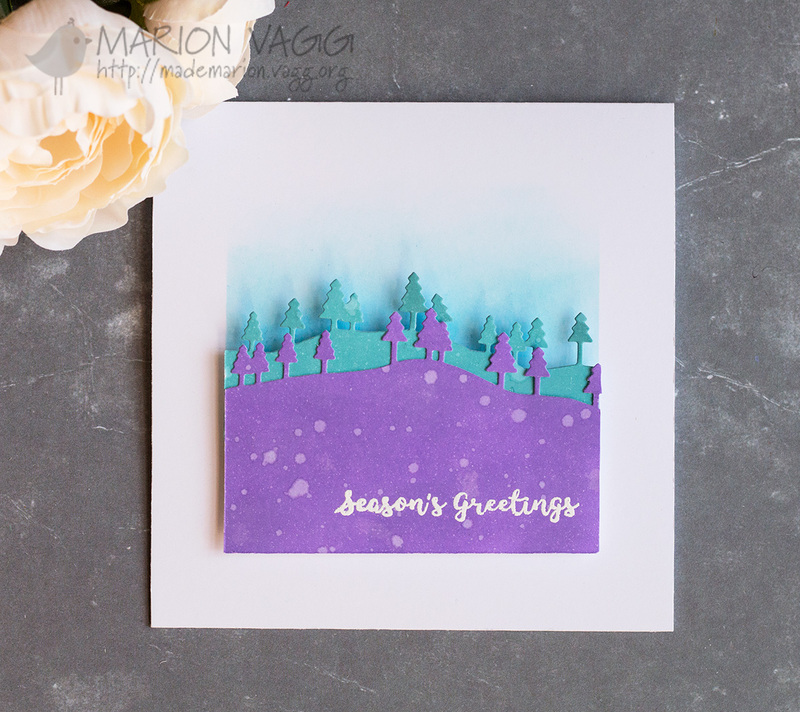 I love the unusual colour combo which I created effortlessly with Oxide Distress Inks. 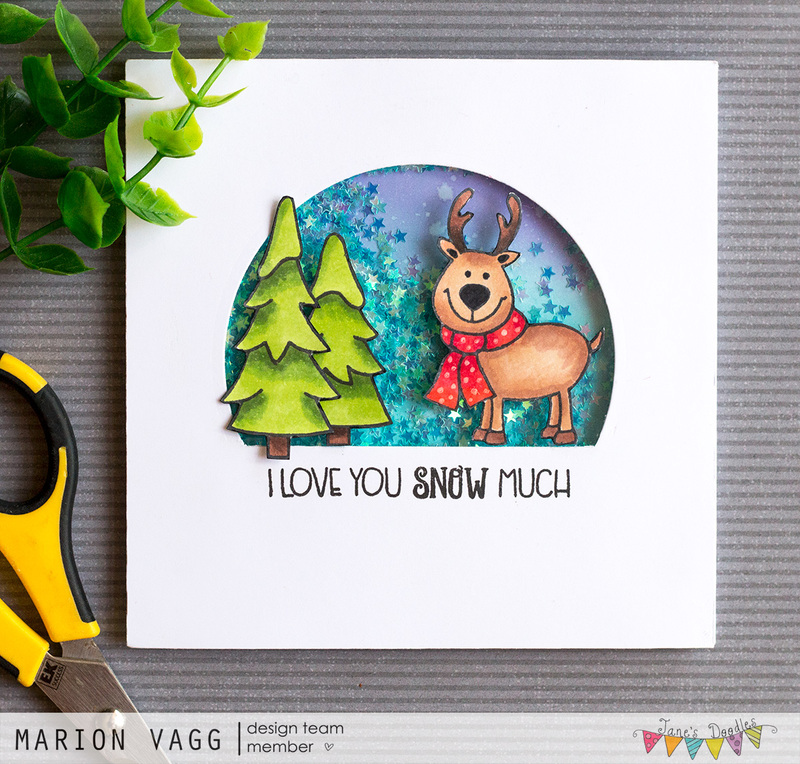 The sentiment is from the Banner Sentiments set. And my final Day 4 card is probably my favourite of them all. Aren’t these mice adorable? They are from the Gather Around stamp set. 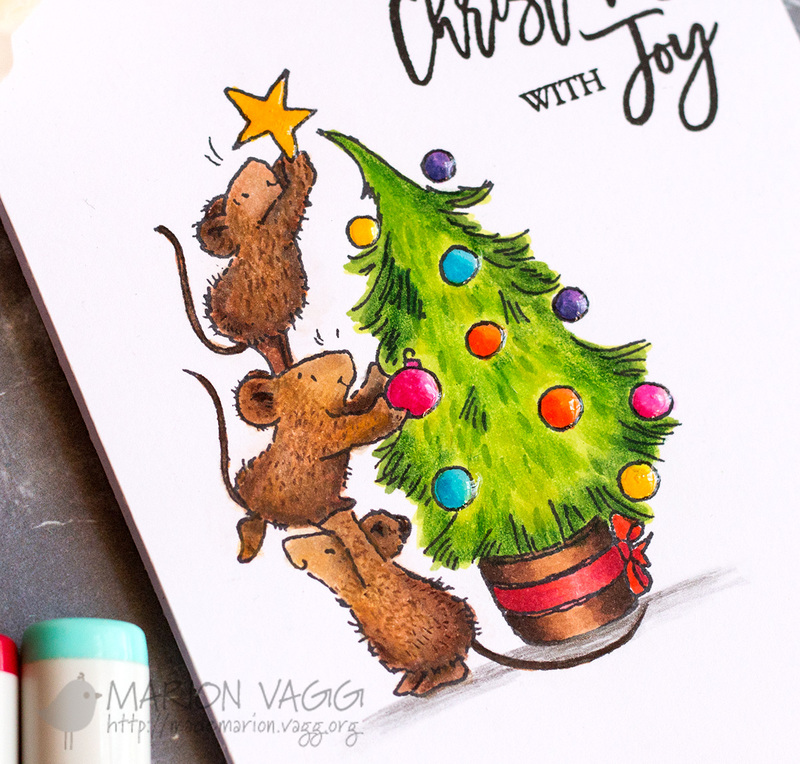 I coloured them with Copic markers, and then added in all the details (such as the fur on the mice) with Prismacolor pencils. 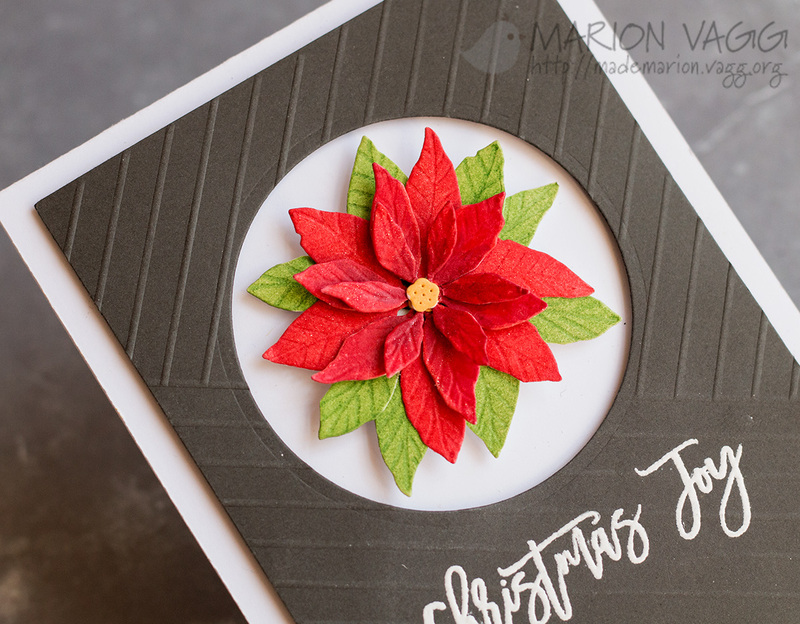 For a full list of supplies and instructions, click on the link for each Day’s card and it will take you to the original blog post. Thanks for sticking with me! That was a long post.